Shingles are one of the oldest forms of cladding, banana leaves, timber, stone, slate are all shingles. 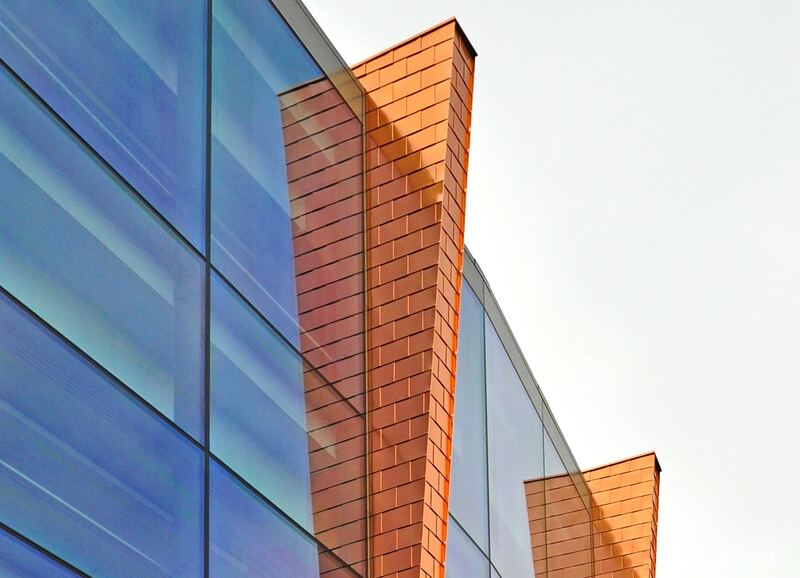 Sheet metal shingles offer a cladding solution where different shapes including rectangular, rhomboid and diamond shape that can be utilised to create a weathered façade. Part shingles available to create straight starting lines. Almost limitless range of permutations of size, shape and material. Material thickness from 0.5mm to 1.5mm. Thinner materials are popular to achieve a quilted or fish scale type of undulating appearance. The shingles interlock and overlap to achieve a secret fix system. 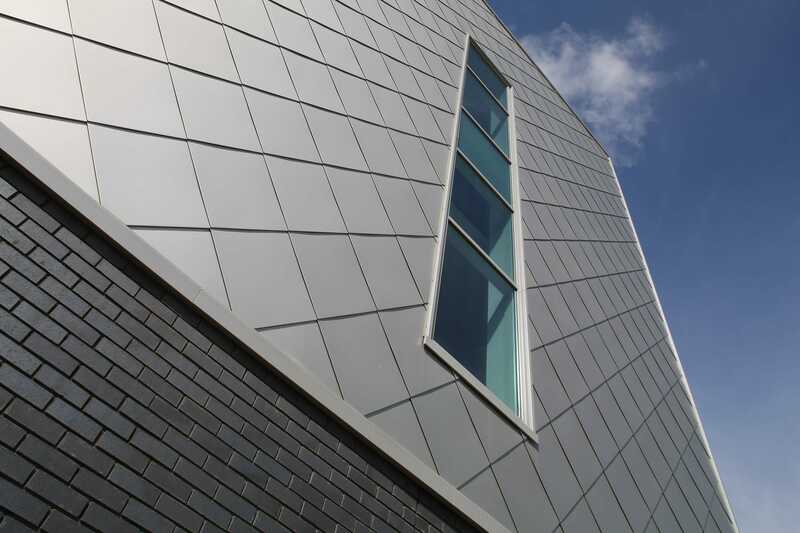 Optima shingle cladding is engineered to seamlessly integrate with all other building façade elements such as windows, doors and louvres. 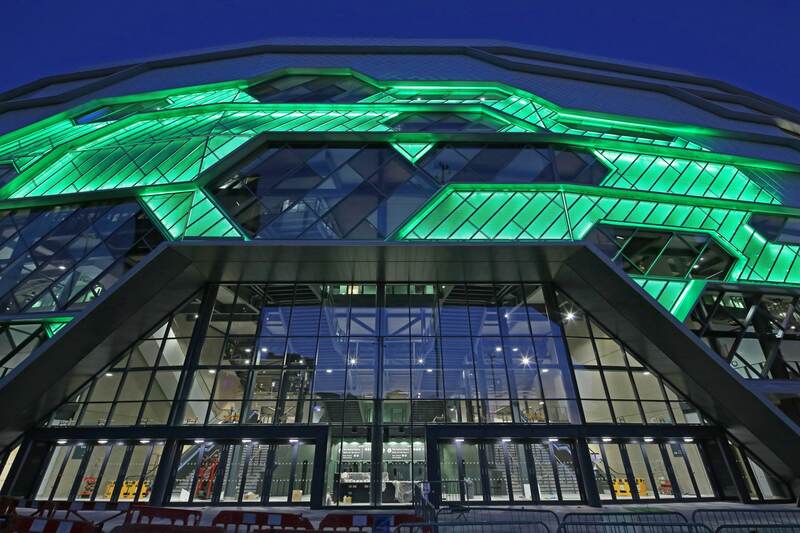 The stunning new £60 million first direct Arena in the northern quarter of Leeds operated by SMG Europe, features Sotech’s back-lit perforated panels which light up the Leeds skyline with a kaleidoscope of ever-changing colours, producing a dazzling honeycombed external façade on what is believed to be the first ‘fan shaped’ arena in the UK. 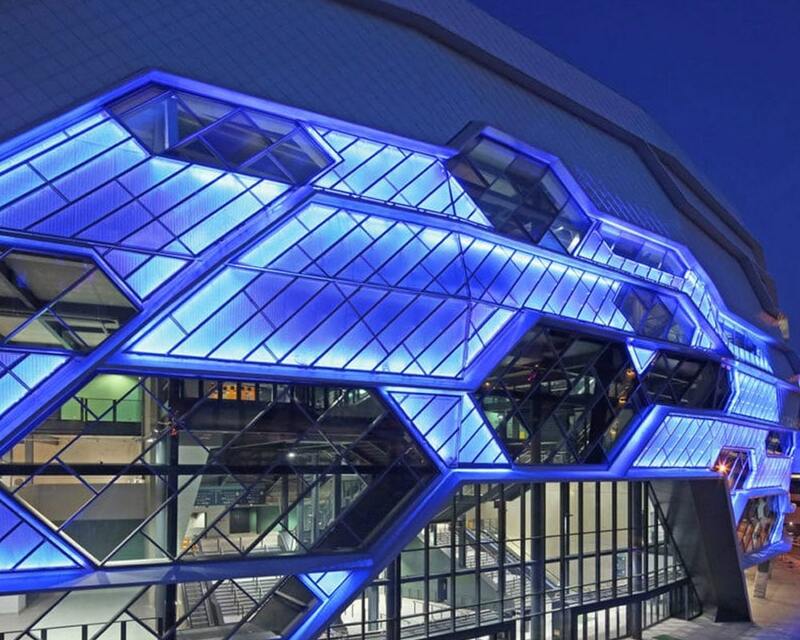 Sotech achieved an economical and integrated solution for over 400 square metres of aluminium feature producing the 9mm perforations with the use of a sophisticated cluster tool enabling a number of holes to be punched simultaneously across a wide and complex variation of shapes and sizes. The plywall should be covered with a weather membrane prior to fixing the shingles. Simple tophats can be fixed creating airspace in front of the primary structure in whatever direction the shingles are alined and the shingles can be clipped back to the tophat. 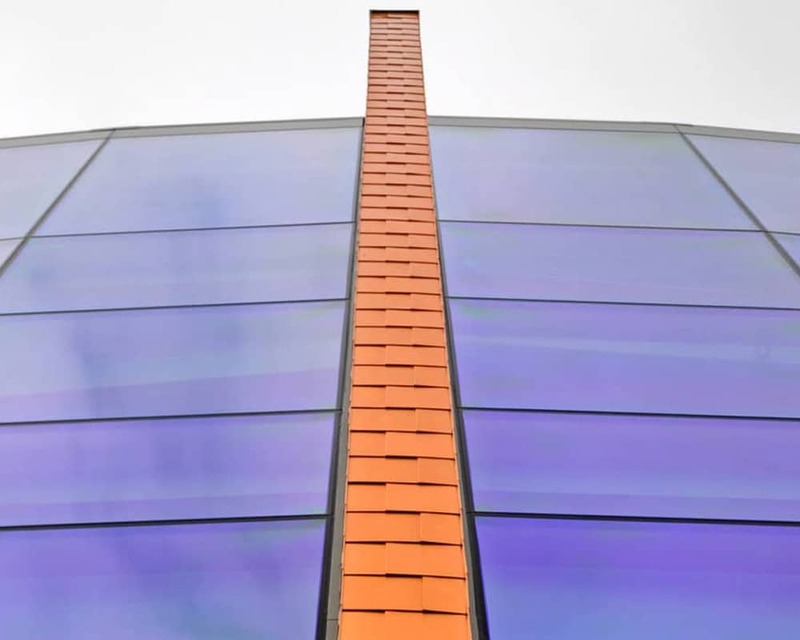 Shingles are fixed by stainless steel clips to the profile sheet. 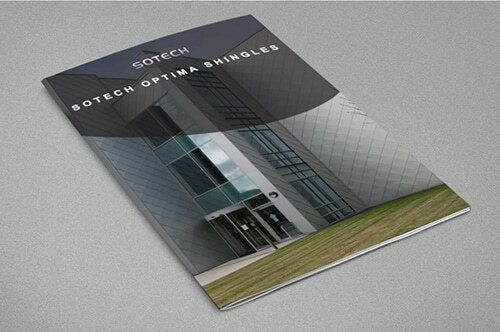 Shingles are a series of interlocking shapes retained to the building via stainless steel clips. 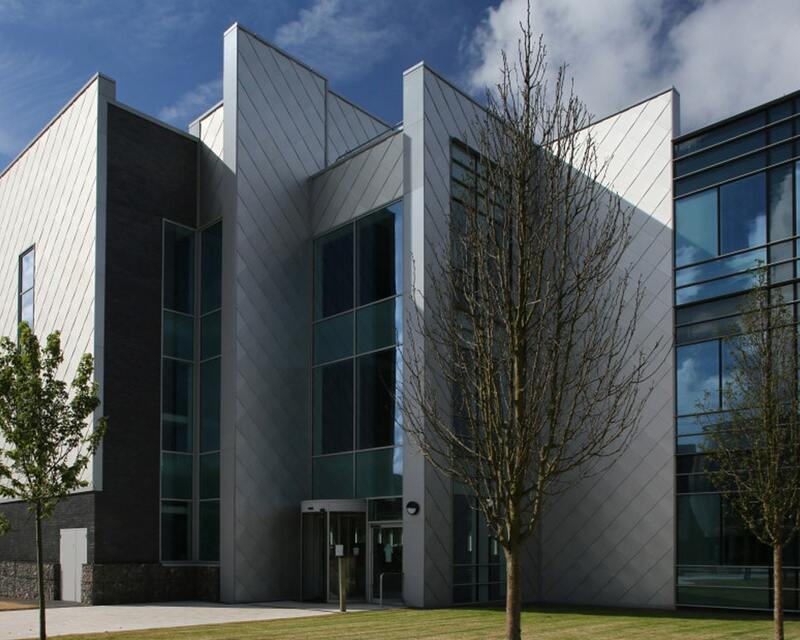 Optima substructure is fully adjustable and can be installed to support a plywood cloaking.